NFC is really old technology now but people still want to encourage it for giving quick commands through NFC sticker, making faster payments by just a swipe of cell phone near the payment machine at the stores making faster regular files transfer. Samsung really tried hard to encourage this technology and was some kind of boom in 2014 to share files with just touching the phones or shaking them in the radius of 10cm. But now its usage is low for file sharing as there are more alternate better options available like share it and others. So why still some people want to use it, either they want to make use of the technology or for payment gateway machine to make the faster transaction. Just a few lazy people. 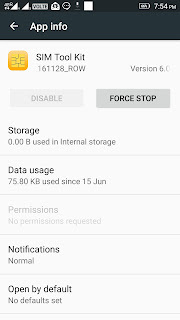 So I found one like them who has NFC enable PC and trying to transfer the file from phone to PC using NFC and he was touching it to the desired place but the computer was giving prompt for google photo? But it really comes handy when you use NFC to enable camera and easily transfers photos from your camera to your mobile device. NFC stickers are also a hand ways of using preset commands for your smartphone in day to day life like while you are getting into the car to start navigation you can just move your cell phone around the destination sticker and it will open google map with navigation information. But really don't see anyone really using it but in reality, the NFC Stickers are very cheap and easy to programmed. Big crazy question that person was looking out for the option that computer will give him option to receive or not !!! Computers, in general, I found an issue sharing images and videos with mobile devices(Android) don’t know about other devices at least the one I was using Samsung. found it working great between windows devices. I was comfortably able to transfer the web pages and files but when transferring the images and videos in a cross-platform environment they were just getting transferred in incorrect format and I ended up unable to use it. 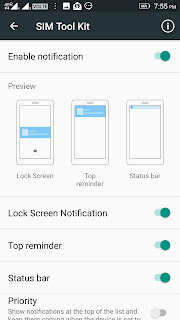 First, you have to check whether your phone/computer supports NFC or not, to check that go to settings and on search type in NFC if you have that it will come up enable it from there. If you want to send the file from your Windows 8/10 mobile device or PC just open charm bar and select Tap to Send so whatever app will be open on top will if has supported app installed on the mobile device will send the files/like a/app to the receiving device. Ensure that even the Bluetooth is on the device. For PC select the option TAP and Send for Charm bar. For mobile hold the file and click on share and select NFC following it. It works best if it is between windows devices but has some problem with cross platforms as discussed earlier like the Android to windows device. Just in order to help my guitar enthusiast friends across the globe here, I must list of guitar apps which will help you always to keep tuned - keep learning. Friends just to let you know that even I am guitar enthusiast, just begun my intermediate level so whatever I am going to present here in this post is as per my experience. 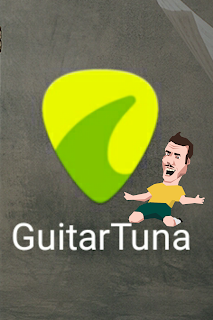 This is the app which has replaced traditional Guitar Tuner and metronome. Yes now you don't have to carry multiple pieces of small electronic devices with you your smartphone is just enough. So as you already knew it has replaced Guitar Tuner & Metronome by reading my first line, I just want to add more about this app. Ad-free Free Guitar Tuner & Metronome. More paid optional features such as getting songs cord and practice along are there which I haven't tried yet. But it may possible you may like them. Click here to get it. Justin! For Guitar enthusiast, he is the great teacher. He is my teacher and black belt guitar master. I have been honored to have access to his lessons. Thanks to the Internet for making people together across the globe. If you want to learn Guitar and looking for a proper school you can trust Justin, the excellent teacher who will cost you '0' ₹/$/€/£/¢ or whatever currency you know yes his teaching is over the top for .00 cent. This app is ad-free and you can donate if you wish. Another very useful app which I believe you must already have on your device is YouTube. Playing Guitar and learning new stuff in different languages and different experts is possible using YouTube you can find a lot of Youtubers posting songs which you may want to learn, in fact, you will find excellent coaching from this guitarists. They are very interactive, helpful and cool. You can enjoy YouTube video on their website YouTube.com and watch the video or you can download their app YouTube from the app store. My advice is to use App because when you are learning something you tend to see the same video again and again at the different time which will unnecessarily eat your data, instead of doing like that you can use YouTube app and save videos offline which will also show your personal collection. Are you not getting your fitness band connected with your Android Smartphone or are you facing difficulties finding the right instructions to pair your fitness device? Download Mi Band App from the Google Play Store or you can find the relevant app mentioned on the packaging. Turn on Bluetooth try to pair it through the App. 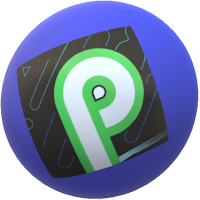 If found issue turns on your Android Smartphone GPS and now try. If you still find any issues or difficulties you can contact us for free help and support through below comment box or contact us page. We will try to provide you the best of our knowledge. Mixed Reality is a mixture of digital world object with the physical object. Physical objects are part of the Real world you can call them real things. So when you see or do something with the physical thing and when it makes difference or show something into the unreal world of digital objects encompassing through Virtual Reality and Augmented Reality technology and developed a simulation of mixed content is called mixed reality. Virtual Reality uses VR gears to simulate real-world objects into virtual world And the using virtual world object into the real world for Display for different purposes. Like having multiple screen castings of the monitor, having aircraft simulation, house simulation, watching movies on the bigger screen, playing games all this with a feeling of having real-life experience. Before Windows 10 Fall creator update I don't think anyone was ever knew anything about Mixed reality. But since the time Windows 10 Fall creator update came into picture lots and lots of people are trolling over the net to find what is Mixed reality is? The answer is simple feeling real world kind of an experience which is virtual indeed but makes you feel real and you can interact with them through your Motions and motion controller devices, such as Oculus Rift controller, Tobii eye-tracking camera, VR Head Mount Display and many more to come. You can use Windows 10 Mixed reality and enjoy your personal virtual domain where you can settle your things as you want. Android users are also can enjoy the same benefits with lined up a new release of apps with similar ideas. Try ZapBox for Android and enjoy virtual reality in Android Device. Android phone is having the ultimate advantage whenever it comes to Virtual reality as they provide high-end feature without losing your money with a lot of devices and at the same time saves your money on unnecessary equipment. In other hand, windows have expensive in terms of HW and need a lot of cabling but its content and objectives are very clear and very professional as backed up by Microsoft. Mixed Reality is Virtual Content Mixed with the Real world content in order to get desired system input and output using Augmented Technology and Virtual Technology equipment. Augmented Reality is mixing and relaying real-world object with digital information inputs and outputs. For example GPS, Video, Audio, and Images. AR layers a digital information on top of real-world objects and it is a part of VR. For an example above image can be Geotagged to be layered with its location information at the time of capture. Virtual Reality uses VR gears to simulate real-world objects into virtual world And the using virtual world object into the real world for Display for different purposes. Like having multiple screen castings of the monitor, having aircraft simulation, house simulation, watching movies on the bigger screen, playing games all this with the feel of having real-life experience with 360° videos and gaming. Before Windows 10 Fall creator update I don't think anyone was ever egar knew anything about Mixed reality. But since the time Windows 10 Fall creator update came into picture lots and lots of people are trolling over the internet to find what is Mixed reality ? Answer is simple feeling real world kind of an experience which is virtual indeed but makes you feel real and you can interact with them through your Motions and motion controller devices, such as Oculus Rift controller, Tobii eye tracking camera, VR Head Mount Display and many more to come. Android users were the first and are enjoying the same benefits with lined up new release of apps with similar ideas. Try ZapBox for Android and enjoy feel of mixed reality in Android Device. Android phone are having ultimate advantage whenever it comes to Virtual reality as they provide high end feature without losing your money with lot of devices and at same time saves your money on unnecessary equipments. In other hand windows has expensive in terms of HW and need lot of cabling but its content and objectives are very clear and very professionally backed up by MS.
Jarvis & all IronMan stuffs are coming alive. 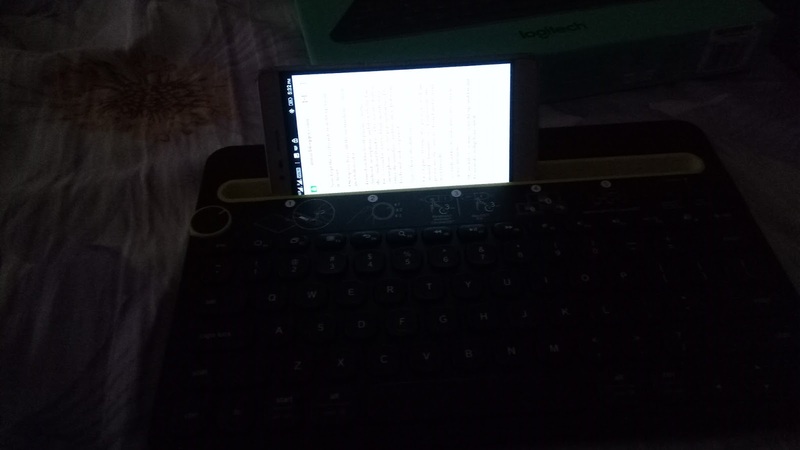 Also check here Android Keyboards for Bloggers ! Today I am going to share my experience of Logitech K480 Multi-Device Keyboard. As most of my readers knows that all my blog postings are and blog design is done through very basic Android Smartphone, and my passion for technology is an element that drives me to write blogs. 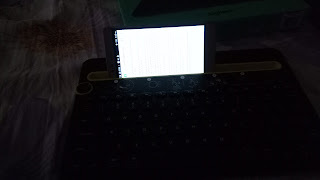 Just to improve my writing experience with mobile, I ordered K480 Multi-Device Keyboard. AND I AM HAPPY With it, five stars to it. I ordered it through Amazon, got it in 4 days. My pre delivery concern was how product quality would be. But it came in good shape(Thanks god) & logitech kept it promise of quality product. Pairing this device was way too easy. Just took it out of the box and batteries were preinstalled in it, Just removed security paper strip on top of the battery tun on the switch on back of the keyboard. Now kept the keyboard straight up facing its front . On top we have all the instructions given, just followed it. Turned on Bluetooth pairing on the Android smartphone and then I hold down the "Android Windows Chrome OS" Button for 3 second it start to blink and then my smart phone gave me pop up that need to enter the numbers and hit enter. Did it on keyboard and got it paired. Easy typing: Writing this page just took me around 3-4 minutes. Yes I am writing this post using the same keyboard and it's very user friendly. Amazing stuff that no Android Keyboard eating my screen space anymore. My mobile is sitting straight up as you can see in picture below and if I want I can make it flip horizontal enough space for docking it. So far I have not been to the website as the instruction given on top of the keys. Don't find anything extra in there so you can skip going to Logitech's page. Speed: found typing spped amazing whileI composing this post I already started to feel wonderful. Nice keyboard little heavy but beautiful. You can pair up to three devices. Supports: Android, Windows, Chrome OS, iOS and Mac OS. Very simple to use & Magnificent keyboard. Useful for bloggers and content writers. You may miss Number keys. If you are desktop style typist then you may take some time to adjust as its Keyboard layout is kind of similar to laptops. Where is the HOME, END, PAGEUP and PAGEDOWN Key on the keyboard ? Answer: This keys are FN + Left Arrow, Right Arror, up arrow and down arrow keys respectively for all four buttons. Why some of the features or keys are not working after operating system upgrade? Answer: Issue with Bluetooth sync and loss of feature happen after OS upgrade, to rebuild/repair the configuration make the system forget the Bluetooth keyboard from bluetooth settings once it is removed and forgotten repair it and it will work. If still not working try replacing the battery it should work. 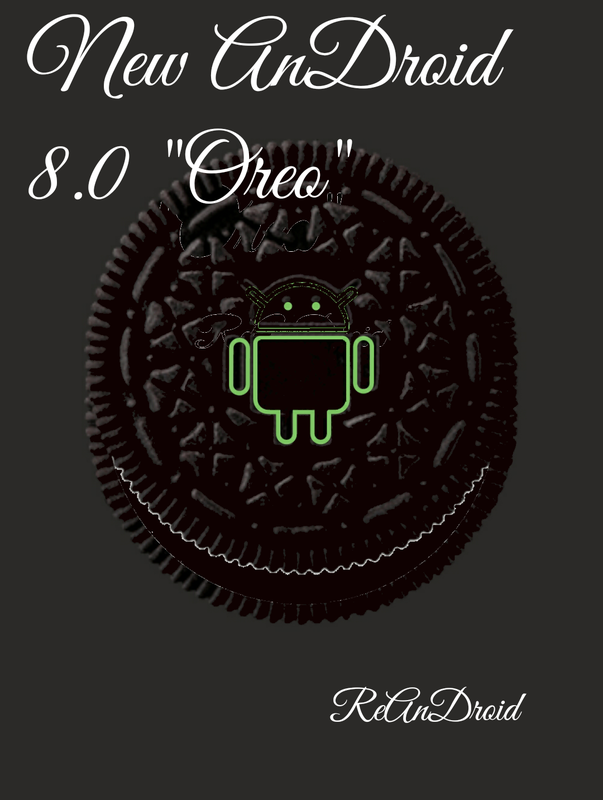 Latest Android 8.0 Named "Oreo"
21st August 2017 was the launch date of Android Oreo, which is Android version 8.0. 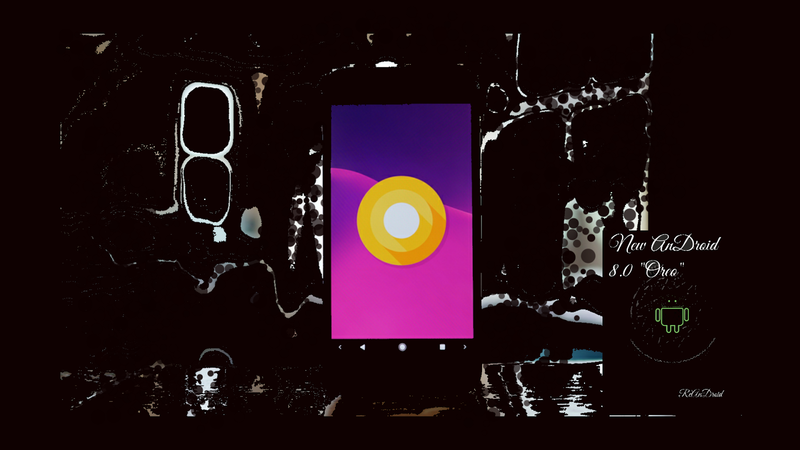 Initially it was out for developers and Google pixel devices such as Pixel, Pixel XL, Pixel C, Nexus 6P, Nexus 5X & Nexus Player Android devices. 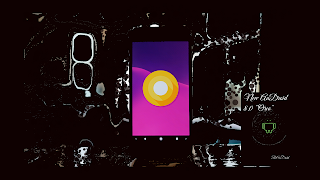 Now it is out in market for other mobile manufacturing companies, now they are rolling out updates for older versions and declaring launch of their upcoming Smartphones with Android Oreo. There will be huge list of upcoming devices and supported devices. New Android may not look much different from it's prior version but it has added new feature enhancements to Android Nought. Better network & device connectivity. 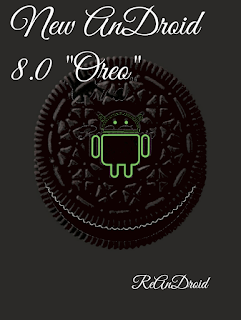 For sure Android Oreo is going to create huhe market demand and continue its legacy. We will look forward to provide you more update on this. Recently started getting issue with a small box poping up with some text advertisement on my Android device. 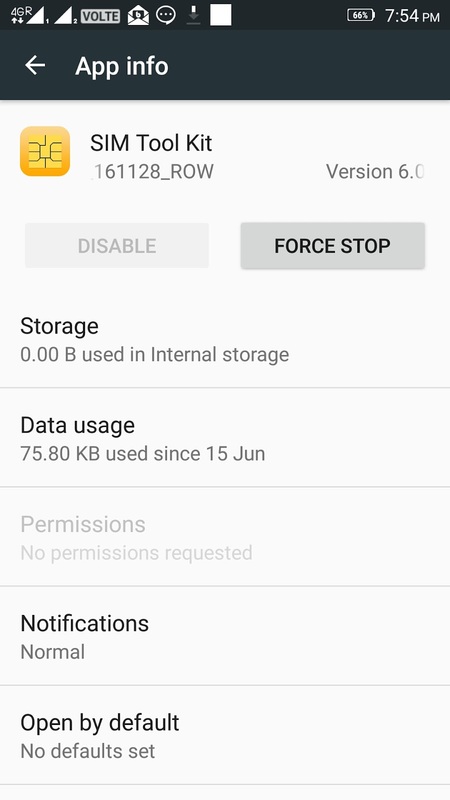 Thought that it could be another adware causing issue and also tried currently my best McAfee for mobile, scanned everything but nothing found. So as per the title of that popup "SIM Tool Kit" I guessed and tried below steps which really fixed the problem. 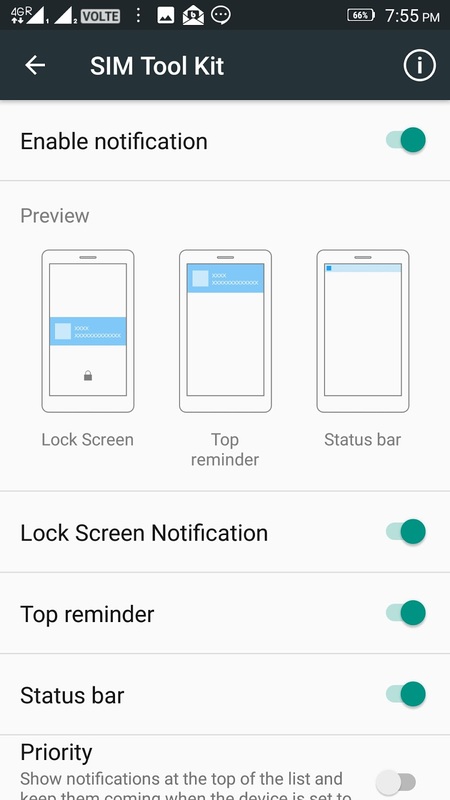 Go to settings > Apps > All Apps > Notifications > Enable Notifications, here Simply move the radio button and turn it off. 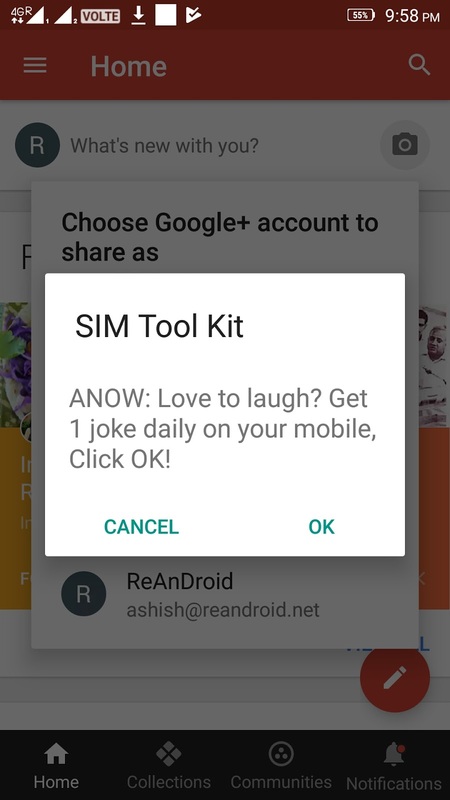 If above step did not work for you in that case go to Sim Toolkit and open you sim options and now check different options in there some of them must have Stop/Start options select it and it will resolve the issue. I bought Fastrack fitness smartwatch "ReFlex" which I found little tricky to pair it up with my simple Android phone. Believe me it was not a big deal but a Miss from watch manufacturer to publish proper and easily accessible manual for it's user. 1 - Download Fastrack ReFlex App from Google Play Store and open it. 2 - This Fastrack ReFlex App will ask you to turn on Bluetooth on the Mobile. OK did. But now comes the problem!!! Problem:Why Fastrack ReFlex App is not able to find Fastrack ReFlex Watch. -Fixed it on step 3. 3 - Turn on GPS location and then click on refresh button to find this Fastrack ReFlex Watch and here you go. Right now if you see I have slower down the frequency of my blogging cause I am busy doing my full time work. So don't mind missing image guidelines. Real good initiative by the government of India The BHIM (Bharat Interface for Money) App designed by National Payments Corporation of India (NPCI), which uses Unified Payment Interface (UPI) technology. Prime Minister of India Mr.Narendra Damodardas Modi, inaugurated it at a Digi Dhan programme at Talkatora Stadium in New Delhi on 30th December. This BHIM app is named after one of the greatest leaders of India Mr. Bhim Rao Ambedkar. This BHIM App Support’s total of 36 banks which almost include the list of all of the Nationalized Banks. Does my bank support UPI based BHIM App? BHIM App uses UPI platform, the same UPI which was introduced in August 2016 following which you started getting different banking Apps on Playstore such as for ICICI, SBI, and Apps from all including banks in above list. This platform made online banking way more easier using your smartphone 4 pin login and small App which loads faster, compared to traditional web-based login where you need to use alphanumeric password along with special characters and long loading and multiple page browsing for simple task and compared to that UPI made it way simple by using PIN-based login, OTP verification, UX interface which is very friendly and easy to use, yes you are right if you know UI(user interface) and UX (user experience) then you've got the answer it was transformation of traditional online banking. By luck or by long-term visionary planning what so ever this technology enables the government to initiate the UPI functions of all banks in one independent BHIM App and enable it to make use of it independently. What so special about BHIM app, when we already have UPI based banking app? Just for an example: If you have used AXIS Bank's app you may have noticed that there you have the option for transferring fund to the registered mobile number right. But that feature supports only Axis Bank's internal customer’s registered Mobile numbers to make the swift transaction, or else you are needed to manually add the payee’s information by going to add Payee account which was very irritating at times because you had to carefully enter account number, account name and search for IFSC code. Whereas UPI used in BHIM App supports all registered numbers registered with BHIM app, which allows generation of unique UPI ID for the interbank transaction and enables it on go, without manually entering long series of bank account, selecting ban, searching and entering IFSC code extra. So it is the lot simpler, easier, hassle-free and independent. And in addition to all this, it does the same what your banking App does directly transfer the fund to bank account without any middleman and brokerage. So BHIM app is the single individual platform which does not need a specific app, it uses the same technology but it is platform independent. UPI platform is linked to your registered cellular number with the banks, BHIM App uses it to get OTP based authorization to include your banking details, access controls and rights to do transactions. For you to access BHIP ask you to create 4 digit PIN(Passcode) numbers, using this PIN you can access BHIM, you can check the balance of your account, check past transactions and transfer funds. To do monetary transactions BHIM generate UPI address and QR code, initial UPI code looks like yourmobilenumber@upi (9xxxxxxxx9@upi), but there is the option to add custom UPI like you can make yourname@upi. That's it now to do monetary transaction both payee and payer should have BHIM app and payee will provide his UPI ID to payer using which payee will directly get fund credited to his bank account, Payee can send the request to the payer and even payer can scan QR code of payee to proceed with the transaction. What are the benefits of BHIM App? BHIM is really a powerful tool to do faster, easier and hassle-free monetary transaction. BHIM will replace PayTm as a backbone support to Indian economy in the crises situation of demonetization and will stop private firms to make the commission out of general public’s money. It enables the direct transaction between buyers and sellers (payee and payer) and which goes directly into the bank account so you are free of middlemen wallet App like PayTM, Free charge etc.. Who used to be in between to stop the fund and source it on their conditions for our money. More transparent about the source of the fund which restricts money laundering. BHIM is the very small app to install just 2.5 MB. Transaction Limits: Per transaction maximum limit of Rs. 10,000 & Per day maximum transaction limit of Rs. 20,000 which is extremely very very high when compared to wallet Apps like SBI buddy, PayTM and Freecharge etc.. So now no restrictions to your business. Payee(Seller) does not have any limits to receive funds and fund will come in immediately and directly. Sellers (Merchants) can print QR code and hang it in their store to get faster payment by scanning it. It is ambitious planning of government of India to make it ink with Adhaar card-based payment, using which we will be able to do the transaction using just your thumb impression and make payment. BHIM works on Android smartphone and iPhones. Soon it will grow BHIM’s list of supported banks. Upcoming Banks are State Bank of Hyderabad, State Bank of Mysore, State Bank of Travancore, State Bank of Patiala, State Bank of Bikaner & Jaipur, Corporation Bank, Punjab & Sind Bank, Lakshmi Vilas Bank. Are there any disadvantages to BHIM? Can't say how highly hack proof it is as there are millions of hackers around the globe who can harm this project is targeted. BHIM App will enable data inventory of buyers pattern and will enable mass analysis of consumer's behavior and if sold out to big entrepreneur will cause harm to the middle class and lower class merchandise. Currently limited to Android and iPhone users. If everything kept on working as it has promised to and if maintained properly BHIM is an awesome App and best App by any government agencies ever. Thanks to the government of India. Android users: Go to Play Store on an Android device and search for BHIM App and click on it then click on Install. Apple users: Go to iPhone App Store and search for BHIM App and click on it then click on Install.